Royal Dutch and Shell Transport completed their formal unification under a single new parent company Royal Dutch Shell in July 2005. Shell is best known for the exploration and production of oil and natural gas alongside its retail petrol stations across the UK. 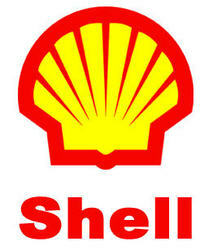 Shell’s other operations include producing petrochemicals that are used for plastics, coatings and detergents. Royal Dutch Shell's fourth quarter 2013 earnings, on a current cost of supplies (CCS) basis (see Note 1), were $2.2 billion compared with $7.4 billion in the same quarter a year ago. Full year 2013 CCS earnings were $16.7 billion compared with $27.2 billion in 2012.
billion in the same quarter a year ago. were $4.5 billion compared with $6.6 billion in the third quarter of 2012.
underlying Upstream production volumes, led by Integrated Gas. versus the third quarter 2012.
billion, compared with $9.5 billion in the same quarter last year. investment (see Note 1) for the quarter was $9.4 billion. * Gearing at the end of the third quarter 2013 was 11.2%. compared with the third quarter 2012.
reflecting impairments (see page 6). quarter 2012 CCS earnings excluding identified items were $5.7 billion. billion, compared with $13.3 billion in the same quarter last year. capital investment (see Note 1) for the quarter was $10.9 billion. for a consideration of $1.9 billion. * Gearing at the end of the second quarter 2013 was 10.3% (see Note 2). compared with the second quarter 2012. The week beginning the 29th of July has fifty five companies that are covered by DividendMax reporting and declaring dividends on the London Stock Exchange. 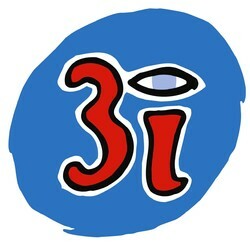 We are going to have a look at them and find some good dividend plays. We will look at the companies reporting that appear in the top thirty of the Optimiser and then move on from there. In order to make selection easier we choose a yield of over 4%. On Monday we have Reckitt Benckiser and Hammerson. On Tuesday we have BP, Informa and Tullet Prebon. On Wednesday we have British American Tobacco & Centrica. On Thursday we have Astra Zeneca, Royal Dutch Shell, BAE systems, Intu properties, UBM and RPS Group and finally on Friday we have Rexam, Man Group and Inmarsat. billion for the first quarter 2012.
quarter 2013 increased by 2% versus the same quarter a year ago. activities for the first quarter 2013 was $11.5 billion. investment (see Note 1) for the quarter was $8.2 billion. for a consideration of some $0.5 billion. * Gearing at the end of the first quarter 2013 was 9.1%. compared with the first quarter 2012.
entities now in effect being proportionately consolidated. $27.0 billion compared with $28.6 billion in 2011.
were $25.1 billion compared with $24.7 billion in 2011, an increase of 2%. identified items for the full year 2012 increased by 1% versus 2011.
quarter 2012 and $42.7 billion for the full year. * Gearing at the end of 2012 was 9.2% versus 13.1% at the end of 2011.
compared with the fourth quarter 2011.